Aman Sharma's Eye View | Aman Sharma writes about Current Affairs, Business News, Social Media, Technology, China, Spirituality. It was interesting to read a high quality article by Pratap Bhanu Mehta on morality and consciousness in response to Sadhguru’s article on the same subject a few days earlier. The articles brought forth remarkable contrast between the views of a respected academic and a popular Indian yogi and mystic on morality and consciousness. Mehta’s article contains a genuine concern about consciousness, that more evolved forms of consciousness would acquire more authority, thereby reintroducing gradations between human beings. This made one pause and think. However, there were aspects in Mehta’s article that struck one for being overly pessimistic about Indian spirituality and consciousness movements. 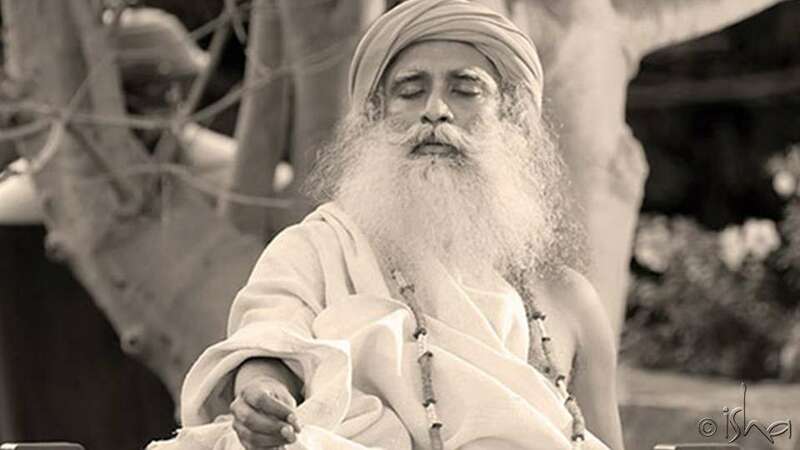 The high pedestal which Mehta accorded to morality and his assumptions about Sadhguru’s views on consciousness made one wonder if he had ever read or heard Sadhguru earlier. That he didn’t define consciousness in his article made it even more difficult for his readers to fully understand his view point. Mehta agreeing with Peter Sloterdijk’s phrase that Indian spirituality was the ‘planetary granary of narcissism’ was taken with a pinch of salt. Spirituality is an experiential dimension and no debate on it gets settled in an academic discussion. This is at the core of the debate between the two gentlemen. For one, it is an experiential reality and for the other, it is a matter of academic debate. Probably, this is the very divide that Mehta points out (and fears) in his article. Sadhguru talks about consciousness as the ability to experience everything as a part of oneself. That is, the distinction of “this is me, that is not me” gets eradicated. In such a state, one is incapable of doing anything harmful. Consciousness stirs up humanity in a way that one is good effortlessly and doesn’t need morality. Morality, Sadhguru says, is like ‘trying to be good’. He wonders if one really needed morality if one’s humanity was alive and active! Curiously, Mehta in his article says it was morality that was more spontaneous as it was based on intrinsic motivation to be good. The reader was left wondering how morality was more spontaneous than one’s humanity! While Mehta feared that consciousness could create divisions – hierarchical or geographic, Sadhguru says that morality could divide the world into moral sects. No two sects would see eye to eye as moral standards for each would be different. Even moral standards one applied to self and others were different, he often says! Another surprise in Mehta’s piece was comparing Nietzsche, Aurobindo and Iqbal with Sadhguru on how each saw consciousness. Clearly, he was interpreting Sadhguru purely on the basis of one article while Sadhguru’s work on the subject was extensive and in-depth. It needed a bigger effort to decipher. Mehta also asserted that all previous projects to raise collective consciousness had failed, that Sadhguru was chasing a chimera and the path was fraught with risks. Not really. India has been an intrinsically peaceful country primarily because of her sound spiritual foundations. That’s how India has assimilated diverse cultures and religions for centuries with relative ease. 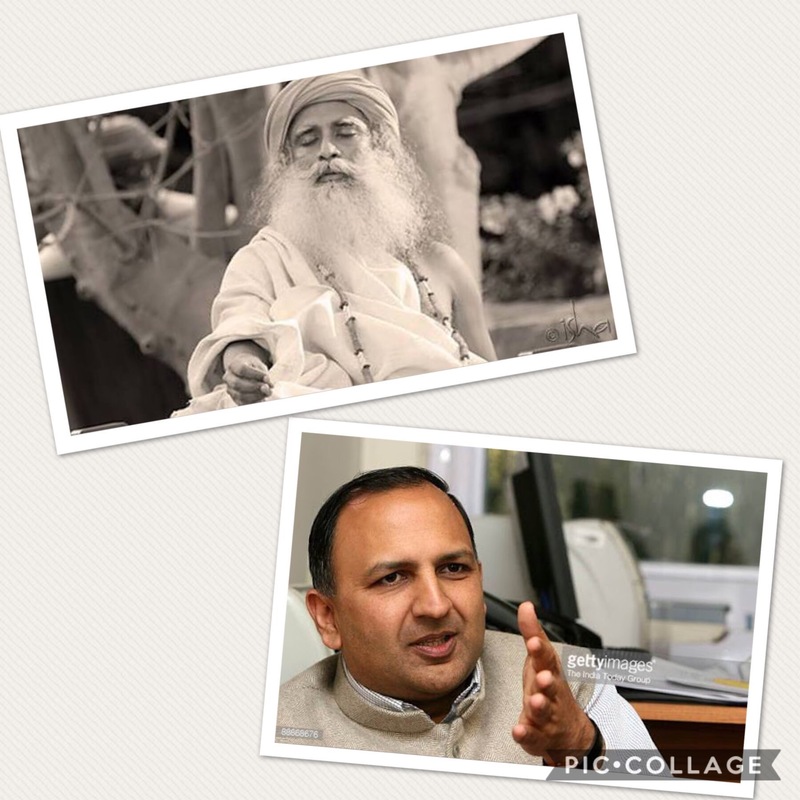 However, shocker in Mehta’s piece came at the end of his article where he obliquely advised Sadhguru that instead of chasing the pipe dream of raising collective consciousness and selling easy spirituality to the privileged, he should work towards exposing hypocrites and giving people civic courage by talking truth to power instead of seeking their patronage. The realisation finally dawned on the reader that Mehta hadn’t seen the stellar work Sadhguru has been doing in the villages and for the poor, not to mention his efforts at environment preservation, education and entrepreneurial development. His yoga programs, public conversations and sathsangs are intended at making all joyful and full of life. Besides, Sadhguru’s views on morality and consciousness are decades old (much before the current political dispensation came to power) and are based on his own realisation rather than on any need to seek political patronage. Surely, this is not the last we have heard in this debate between the two. Readers respect Mehta and would love to see his views not only on this subject but also on Sadhguru and Isha Foundation evolve over time. Around noon on the second day of consecration of Yogeshwar Linga, Sadhguru was guiding a 12500 strong congregation of yogi participants from 70 countries through an intense kriya. By the end of the kriya, he asked them to put three fingers on their forehead to feel the ‘third eye’. The participants roared in ecstasy! Depending on how much sadhana each had put in over the years, one experienced something indescribable and unique at that very moment! On Mahashivratri night, as Sadhguru and Modi shared the stage to unveil the 112 feet tall face of Adiyogi, the mood among the 5 lac strong audience was electric! Modi was a Yoga Veera, Sadhguru declared. Please recall that Modi had proposed an International Day of Yoga at the UN and subsequently led a record number of people into a yoga session on the streets of Delhi. Modi praised Sadhguru for having made yogis out of ordinary people and that he could see so many vibrant faces around. The crowd roared, liking every bit of this camaraderie. The above two were just some of the several mesmerising moments that one came across during the week long (19th Feb to 25th Feb, 2017.) events at the Isha Ashram that involved consecration of the Yogeshwar Linga, consecration of the 112 ft tall face of Adiyogi (Shiva – the first yogi) and the night long Mahashivratri celebrations. I have been a yoga practitioner for four years now. Just as I was thinking of going for a higher level yoga program, a Twitter friend informed me of these upcoming events and forwarded to me relevant literature. Consecration of a Linga? I had never witnessed one. I also knew that I might not get an opportunity to participate in another one in this lifetime. I immediately enrolled. As I shared my intention to participate with my friends and relatives, they thought I just wanted to take a break from my routine. Others thought it was a good way to relieve myself of stress. None of this was the correct assessment. My purpose of attending the program was two-fold. Consecration of a Linga is a once-in-a-lifetime opportunity. After all, how many of us have attended such a program? How many of us have been fortunate enough to have contributed to a Linga with our own life energies? Attending a program of this nature would accelerate my spiritual journey. It would give me an opportunity to absorb what could otherwise take me years of sadhana. Spirituality being a different dimension altogether, it took quite an effort to explain that my attending the program was not akin to ‘running away’ but to actually empower myself to be able to conduct this life smoothly. Anyway, I was quite excited in anticipation of the event and was looking forward to it eagerly. We were told in advance that the event was attracting record participation. I braced myself for a large gathering at the Ashram. I reached the ashram on Sunday, 19th Feb 2017 and was amazed to see the sheer size of the event. It started on 19th evening itself when Sadhguru brought the Yogeshwar Linga on a chariot to the Adiyogi Alayam for consecration. Setting up the Linga on stage was quite an effort. That set the stage for consecration over the next three days. Our sessions of Linga consecration by Sadhguru used to start at 10 am every day and ended around midnight, with adequate breaks in between. It was nice to watch all participants completing their morning sadhana at whatever space they could find in the corridors, lawns, dormitory etc. and be ready well in time. These sessions involved Sadhguru consecrating the Linga, yoga kriyas, mantras, videos, Q&A etc.. Over the three days, we watched, spellbound, a spectacular display of the spiritual dimension. Each of the 12500 participants from 70 countries soaked what could otherwise take us years of sadhana. Sadhguru explained the importance of the Yogeshwar Linga as a doorway beyond the physical dimension and why, instead of human beings, we consecrate Lingas. He also dwelled on the importance of wearing white and black clothes depending on the occasion. He also said that one would wear the crown of ignorance if one thought that what was not in one’s perception didn’t exist. He advised all to neither believe nor disbelieve; just keep an open mind and seek answers with sadhana. Once the Linga was consecrated, it was transported near the 112 feet Adiyogi face as a source of energy for the statue. On completion of the consecration, we were specifically told neither to do the yoga kriyas nor chant the mantras we learnt at home. These were meant for the consecration event only. Then came the Mahashivratri night. It was a full night event of dance, music and yoga. The idea of night long celebrations is that on this night, there is a natural upsurge of energy in the human body if the spine is kept erect. So people just stay awake and tap into the energy on Mahashivratri night. We could see many celebrities attending but the star of the day had to be India’s Prime Minister Narendra Modi. The five lac strong crowd lapped up every bit of what Sadhguru and Modi said on stage. There were cheers and rounds of applause. Modi spoke in English, keeping in mind a largely Southern and foreign audience. Modi then unveiled the much awaited Adiyogi statue – a stunning piece of geometry that would remind the world of the first yogi, the first Guru. Thereafter music celebrations started, interspersed by midnight sadhana with Sadhguru. I had never been awake for the whole night ever since I completed my college. However, time flew! Every time I saw my watch, two hours had gone by as if in just a few minutes. In the meantime, I was getting messages that I had been seen in the TV coverage of the event. So, friends and family back home were watching too! Anyway, the Mahashivratri celebrations ended at 6 am the next day. Sadhguru was awake, dancing and chanting with us all night. It had been a memorable week for us all; something we would cherish for the rest of our lives. It’s been four days since I returned from the ashram as I write this. During my yoga sessions, my body still feels vibrations that I have brought from the ashram; as if my spiritual journey has been turbo-charged. This was exactly one of the reasons I was there in the first place! I decided to write this blog post as there have been many people asking me about the experience. I thought it was prudent to chronicle it, considering the immensity of the event even for my spiritual journey. To start with, one has sympathies for those who are suffering from or have lost near and dear ones to cancer. One also has respect for those who have successfully fought and defeated cancer and are leading a healthy life today. I came across numerous responses to these tweets, especially the former one and I responded to some. However, this article in particular caught my attention. One was pained to see sweeping generalisations, with Sadhguru having been painted with the same brush as other Gurus. However, that is hardly a surprise. In an age of limited attention span and relentless social media outrage, taking a step back, getting into details and forming a considered opinion is at a premium. The article referred to earlier mentions the word ‘cure’ (cancer) six times, hinting as if Sadhguru has made any such claim in the referred tweet or otherwise. On the contrary, Sadhguru propagates leading a healthy life using techniques of Inner Engineering that help PREVENT ailments like cancer. What’s wrong with this message to generate an outrage of the sort we have seen? Fundamentally, yoga is not a form of treatment. This is a way of balancing your inner energies. We never really treat the physical or mental body in that sense. Irrespective of what the disease is, we only aim at balancing and activating the energy body. 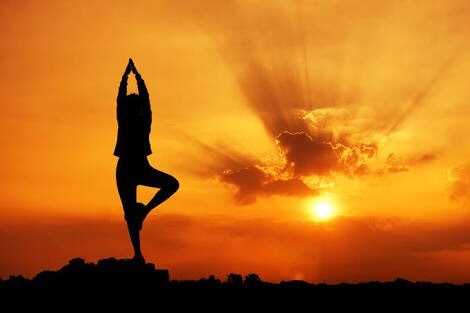 Essentially, Sadhguru talks about adopting yoga practices for inner well-being; taking care of the energy body, thereby ensuring proper flow of energy to even those organs which are not in active use and have the danger of nurturing cancerous cells. So , Sadhguru talks about PREVENTION and not CURE of cancer. One cancer patient asked Sadhguru about a cure. Check what Sadhguru replied, especially starting 4:40 minutes in the video! Sadhguru clearly mentions that once one has contracted cancer, it is better to pursue an allopathic treatment. Yoga can definitely help in overcoming the after-effects of chemotherapy but patients should not run the risk by not taking allopathic treatment. Some critics mentioned that if cancer was a self-created, what explains cancer to kids or passive smokers? Valid point. If one reads the blog post Cancer: A Yogic Perspective carefully, it clearly mentions that there are external causes of cancer. But in most cases, root cause lies in imbalances in the energy body. This is preventable. So, what was the outrage about? @PritishNandy recently wrote why he felt Twitter was dying. His article received widespread response, both for and against, and it is this debate that prompted me to write this blog post. What Pritish Nandy wrote has been doing the rounds for quite some time now. The New Yorker, in its January 2016 piece, was quite emphatic about Twitter’s decline. Advertisers and Marketers focussing on digital media have been livid about a less-than-encouraging ROI on Twitter. I have studied both sides of the debate over the years. However, I have been surprised by some of the arguments put forth after Pritish Nandy’s article to explain that all was well with Twitter and that it was up to the users to make full use of the medium. Take, for example, this thread of tweets. Some said, Twitter user base couldn’t be compared to Facebook’s. Even @ValaAfshar’s tweet has been quoted and widely circulated as an argument about all being well with Twitter. One cannot disagree with the above sets of tweets. However, none of them refer to data. There is where the problem lies. Let me explain. Below is the trend of Monthly Active Users (MAU) as declared by Twitter. If you notice, the MAU growth has been plateauing since Q1 of 2015. So, while Twitter obviously can’t be compared to Facebook, such nominal growth indicates serious issues with the medium. Stagnation is death. While the ad revenues are growing as of now, they are much below expectations and there are reports of advertisers reducing their spend on Twitter in the future owing to low ROI. While the Board of Directors of Twitter has taken cognisance of the problem and has already made changes in the Twitter leadership and has even put the organisation up for sale, many Twitter users remain oblivious of the larger picture of poor AMU growth and ad ROI issues. To conclude, I agree that Twitter isn’t going to die anytime soon. However, if many users feel that Twitter isn’t what it used to be; and the same is supported by data, one must sit up and take notice. Negligible AMU growth indicates that, if not addressed, Twitter is ripe for disruption. On my last travel to Rajasthan, my home state, I happened to meet an old industry friend after almost 7 years. The moment he saw me, he exclaimed, “Aman, you are getting younger with age!” Of course due to paucity of time, yoga couldn’t be discussed but he was emphatic in his observation. Whenever I read stories of self-sacrifice or one displaying humanity, tears roll down my cheeks. This is a two year old phenomenon and coincides with my spiritual journey. During my annual medical tests for the last 3 years, the reviewing doctor has consistently been asking me what I do to maintain my health. I tell him that while I practise yoga as a spiritual process, good health is a by-product. He then just blesses me with the statement, “See you next year”; meaning he would love my not visiting him again till the next year’s check-up got due. A person was shouting at me for reasons best known to him. However, I didn’t feel disturbed or agitated at all. 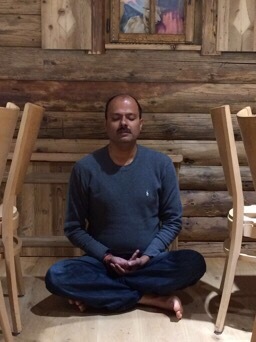 I maintained my calm (quite unlike what I used to be before I got introduced to Isha Foundation) and let it pass. 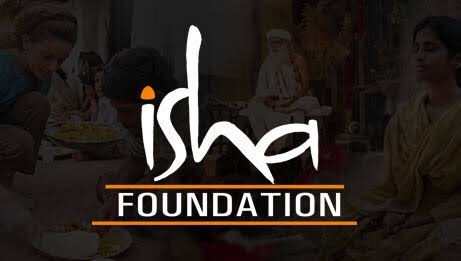 I attribute all of the above to the yoga practises I learnt at the Isha Foundation. I have attended Inner Engineering Retreat twice where I learnt the Shambhavi Mahamudra Kriya preceded by ancient preparatory asanas like the Surya Namaskar. I practise the entire sequence for 1.5 hours in the morning. I also learnt Isha Kriya preceded by another set of preparatory asanas in the Isha Insight program that I attended at the ashram in 2015. I practise this for an hour in the evening. That is, I spend 2.5 hours a day practising the profound yoga asanas and Kriyas that I have learnt. My job entails travelling 10-15 days a month. But I ensure that I do the kriyas every day. Of late, I have been getting opportunities to share my experiences on stage at Isha’s sathsangs which I occasionally attend to rectify errors, if any, in my practises. I then decided to just put down my thoughts in a blog post. When I first learnt the Shambhavi Mahamudra Kriya in February 2013 as part of the Inner Engineering Retreat Program, I was told to practise the Kriya twice a day for 45 days. However, I could follow the twice-a-day schedule for 7 months, dedicating an hour each in the morning and evening every day. 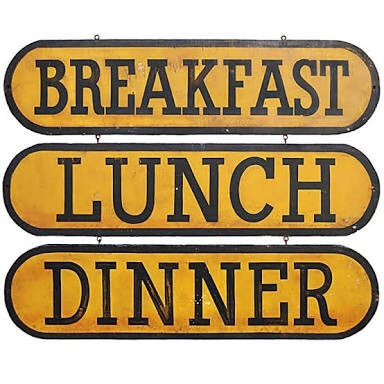 Since there had to be adequate gaps between food intake and the Kriya, my intake automatically reduced to 3 times a day regimen – breakfast, lunch & dinner. So, all the samosas, kachoris and gulab jamuns that I consumed on occasions in the intervening hours got eliminated. This dietary discipline coupled with regular practise helped me reduce my weight (while that was not the intention of my yoga) thereby making my body more flexible. I got introduced to yoga essentially to be able to control my anger. I occasionally blew my top thinking that it was an appropriate way of getting my job done. When the subject came up during my formal training at the Isha ashram, I asked this question, “How and why should I not get angry when I think that’s the only way to get my job done?” I was awestruck by the simplicity yet profoundness of the answer. “Do not get angry. Just act angry. That will help you maintain your inner peace.” I practise this till date and will continue to do for ever. I have realised that I cannot give the keys to how I feel from the inside to someone else. That has to be in my control. With regular practise, my health parameters have improved. Instances of falling ill have come down and I feel light and rejuvenated all day. My breath is balanced; a feeling I was oblivious to before I started regular yoga practises. My snoring is gone (still wondering how that happened!) and sleep quality has improved so dramatically that 5-6 hours of sleep a day (and an afternoon nap on weekends) is good enough. As Sadhguru says, “Are you creating poison within you or the fragrance of the Divine? This is a choice.” I have made my choice through my own inner engineering! Ah! The luxury I enjoy in India while checking into a hotel – a warm welcome by the staff followed by the bell-boy support to carry the luggage to the room – quite unlike Europe. As I checked into a 4-star hotel during my recent Europe trip, I noticed there was no drinking water in the room. I enquired at the reception and was told that the empty refrigerator was meant for me to keep my items. If I needed drinking water, I could use the tap water from the washroom 🤔 as the restaurant or the bar wasn’t yet open and hence I shouldn’t expect any supplies from room service at that hour. On arrival at the Zurich airport from Prague, I tried logging into the airport wifi. It asked for my cell number for the OTP SMS. The SMS never arrived. Same with all my colleagues. Any intervention for troubleshooting would have been time consuming. So, we moved on. As I arrived at the Paris airport from Zurich, I waited for about 30 minutes before luggage appeared at the conveyor belt. As I tried to log into the airport wifi to utilise my time, I couldn’t. Then I thought of charging my mobile but see what, not a single charging point was in working condition! All the drivers and the guides, though quite courteous and punctual, were inflexible too. I noticed certain instances when they could have acted beyond the call of duty but didn’t. Remember Ratan Tata’s lament when Tata Motors took over JLR? I can go on and on. My question is, how would have we reacted when faced with such irritants in India? Quite unsparing in our criticism, I know. Netherlands has 2/3rd of it’s land below sea level. It is so short of land that expansion through reclamation is the order of the day. Also, water has to be continuously pumped out into the sea with high capacity pumping machines from whatever limited land the country has. Though adequate safeguards have been made, the country constantly fears flooding. The above instances are just pointers. After my recent visit, I have other reasons to believe as well that Saare Jahaan Se Accha Hindostan Hamara (India is the best). European countries are so small that it made me wonder why they weren’t a single country in the first place; or a stable EU at least. How can such small nations be secure, self reliant and thriving in the long run? This made me salute our leaders (like Sardar Patel) who ensured amalgamation of all provinces into a single nation. They realised that anything short of single nationhood would be a disaster, as had been in history. Demographics in Europe seems to be unfavourable in the long run. The working age population is declining. Immigrants are therefore being allowed (exceptions apart) but the ISIS problem has complicated even that. The European economy isn’t growing fast enough. People aren’t able to grow their businesses. A simple example. I noticed shopkeepers across Europe irritated and short tempered. They expected that if a customer entered the shop, he/she MUST buy. Else, strange reactions ensued. And no, this wasn’t about bargaining. I noticed the trend in fixed price shops as well. This is not to say that all is bad in Europe. 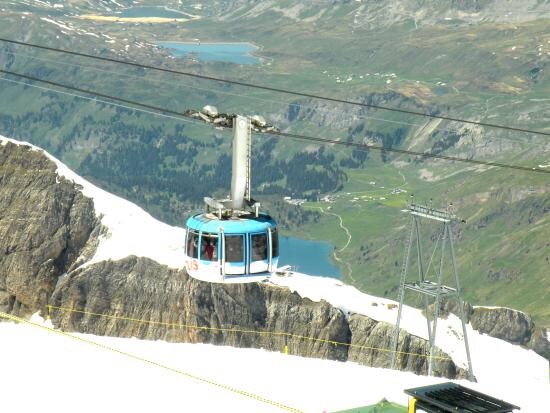 The way the Swiss have developed their snow peaks (like Mt Titlis) is remarkable! But I understand that scenic beauty of India’s Kashmir and Rohtang Pass (Himachal Pradesh) is mind blowing; if only we developed these locations as tourist destinations matching the level the Swiss have done in Mt Titlis. India has a lot to learn from Europe – cleanliness, discipline, traffic etiquettes etc.. I am just saying that we have the potential to get there. India is a resource-rich country with demographics in her favour. She is the fastest growing economy in the world. She has a stable government and sound democratic systems. Her armed forces are professional and adequately equipped to defend her borders. She has a large domestic, consumption-driven market economy. In short, India has the potential to be way ahead of what we consider as the developed world. It is time each of our institutions asks itself what it would take to be the best in the world (benchmarking) and then strive towards that. What prevents India from having schools and universities that produce Nobel laureates? Why can’t Indian corporates innovate as so many West-headquartered organisations do? Why can’t our corporates turn into Indian multinationals? Why can’t we, as citizens, ensure that the Swacch Bharat Abhiyaan succeeds? Why can’t each of India’s states plans tourist arrivals per annum equivalent to that of Netherlands? I get a feeling that India is much closer than ever in history to realising her potential. 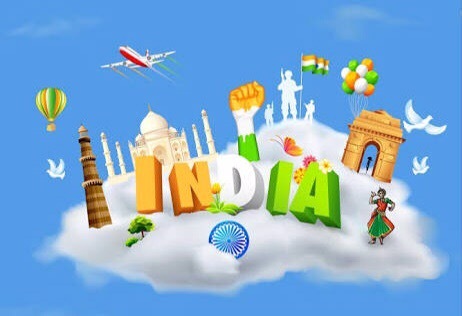 Many might not realise this but India has it in her to be the golden bird again, and just in a matter of a few decades! How many decades it will take depends on how much fire we as citizens have in seeing us up there in the hierarchy of nations. 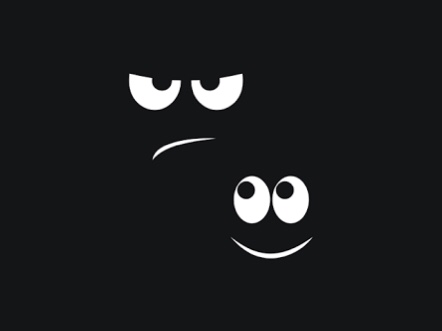 We as consumers waste no time in complaining when we face customer service issues. It is equally important to appreciate when we receive outstanding service standards. I am a loyal Jet Airways passenger and have been accorded a Platinum JetPrivilege membership based on my rich association. 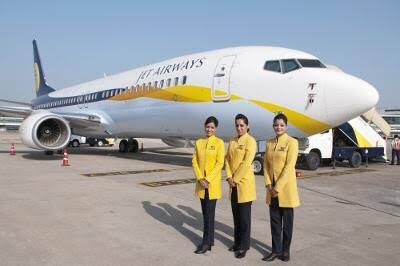 However, it is only now that I realise the importance of this loyalty program of Jet Airways. I was booked on the 9:15 pm flight (later rescheduled to 9:50 pm) from Bengaluru to Mangalore. I am quite disciplined in keeping time and have therefore never ever missed a flight. In keeping with my habit, I left for the airport at 6 pm, a good 3 hours and 50 minutes ahead of the departure time. This, I thought, would give me neat one hour at the airport lounge to clear my mails and have dinner. However, that was not to be. Within 5 minutes of leaving for the airport, it started drizzling. Immediately thereafter, traffic snarls started. After about 45 minutes (at 6:45 pm), I checked with the taxi driver if we would make it to the airport on time. He said we should be at the airport by 8 pm. I was relieved. However, the traffic snarls only got worse, and our speed slower and slower, till we came to a complete halt at one point. It was then that I realised that I was in real danger of missing my flight. I tweeted in frustration. 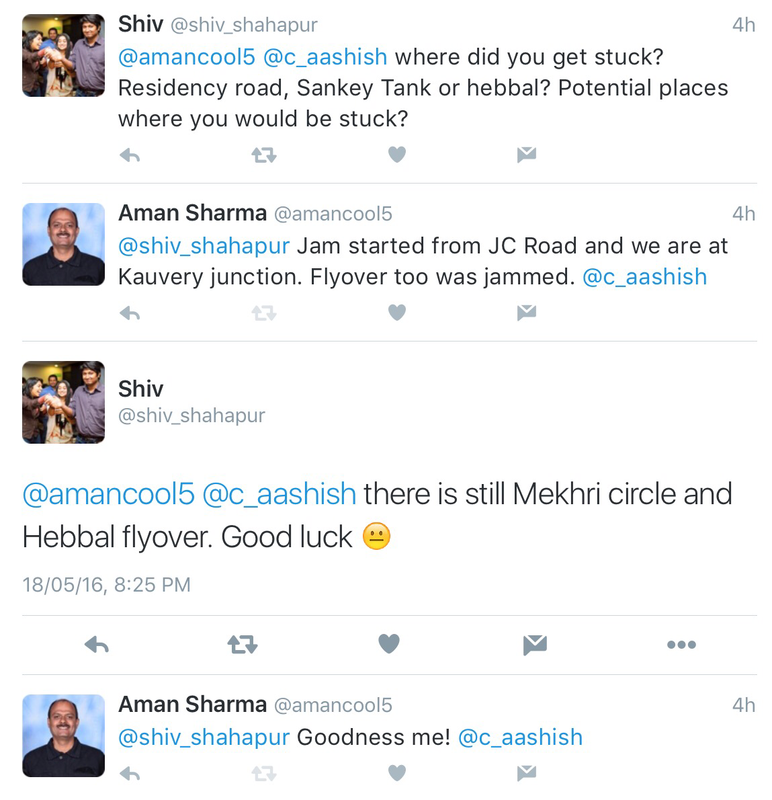 Some Twitter friends wished me luck, pointing out that I had many more crowded areas to cross! Amidst this turmoil, I was getting my Plan B ready. In case I missed my flight, I would check in to a hotel near the airport instead of returning back to the city (in view of the traffic snarls) and take the morning flight to Mangalore. I even called up Jet Airways to confirm the check-in time deadline in case one had already done a web check-in. I was clearly told I had to report 45 minutes prior to departure even if I had already done a web check-in. It meant that I had to report latest by 9:05 pm. By the time we cleared the traffic snarls, it was already 9:15 pm and we had another 15 kms to cover. I almost lost hope. 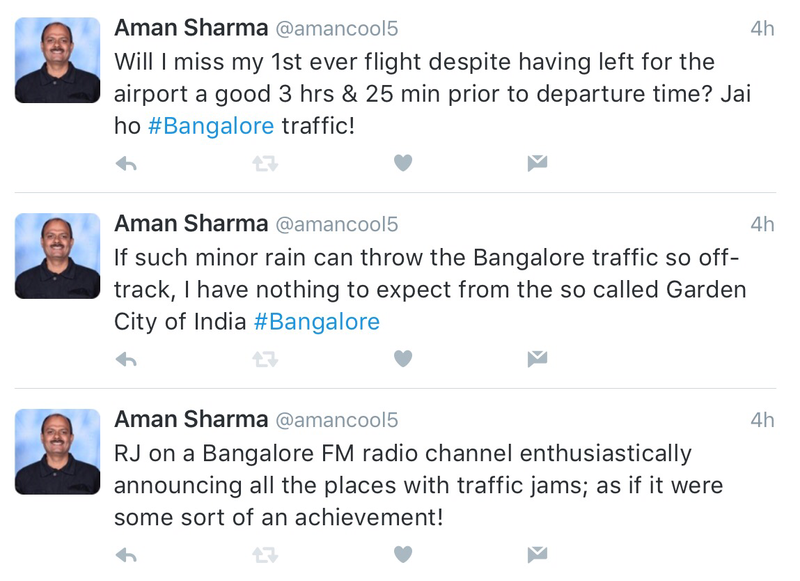 I still decided to give it a shot just in case there was a last minute flight delay from Jet Airways itself. I reported at the check-in counter at 9:35 pm; barely 15 minutes before departure! The girl at the check-in counter first said it was too late. Then she realised I had already done my web check-in. Then she noticed that I was a Platinum JetPrivilege customer. She stood up and called her boss, informing about me and that she was checking me in as a special case. Since it was too late for checking in my luggage, she also took permission to allow me take the same as hand baggage. On getting the superior’s go-ahead, she asked a support staff to accompany me through the security using the gate meant for airport staff. On seeing that the support staff was taking me past a gate meant for staff, a CISF (security) official blasted him and threatened him, demanding he call his superior. The poor chap got terribly frightened. He had put his job on the line to ensure that I caught my flight. I noticed his plight and pleaded with the security official to pardon him and allow me to pass. He cooled down and let me in. Having cleared the security, I ran towards the gate, only to be told that the last bus to the aircraft had already left. I again requested the gate staff. They relented and took me to the aircraft. I boarded the aircraft at 9:48 pm, barely 2 minutes before departure. Being the last one to board, all passengers turned back to see who the late entrant was! However, I was tremendously relieved to have made it. The lady at the check-in counter, the support staff who carried my luggage through the security and faced the ire of the security official, the man at the gate who took me in a dedicated bus to the aircraft; all were unsung heroes in my eyes. I didn’t know their names but was full of gratitude for their having gone out of the way to help me catch my flight. Its employees like these that make any organisation a darling of customers! Thanks Jet Airways for the excellent level of service quality! You made my day!! I would be marking this blog post to the Jet Airways Twitter handle, hoping that it would be shared with those unsung heroes and they would read this. I also hope that Jet Airways rewards them for the exemplary commitment they showed towards customer delight. These employees are definitely an asset to Jet Airways.